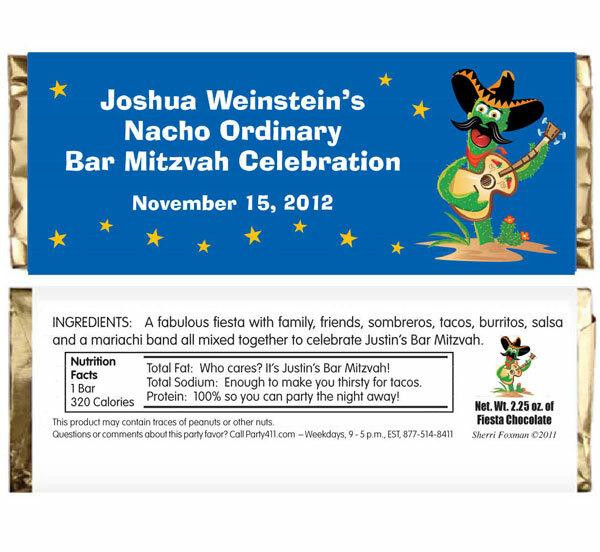 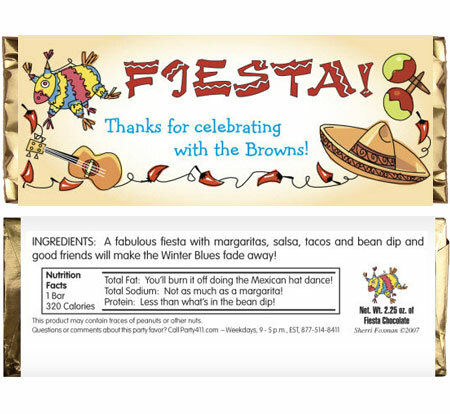 Celebrate your fiesta in style with these personalized fiesta theme candy bar wrappers. 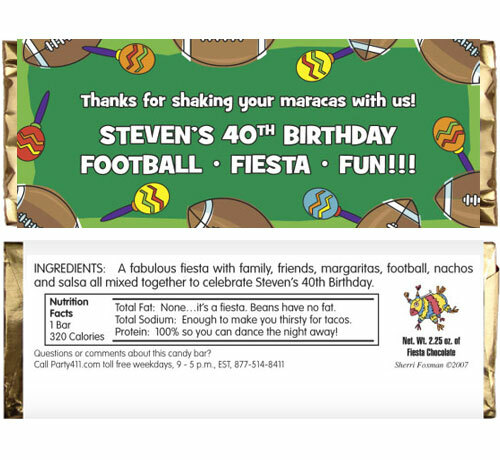 This favor will help them remember how they shook the maracas at your fiesta. 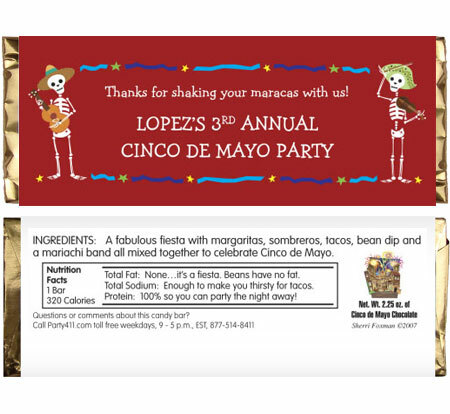 A traditional Cinco de Mayo look! 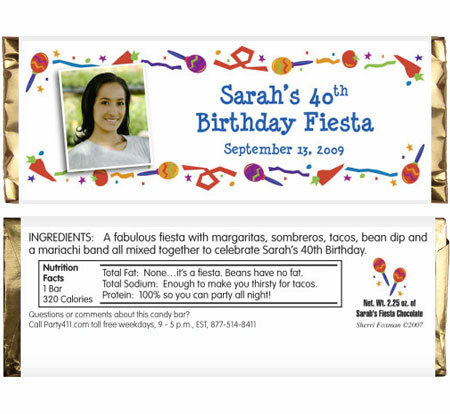 Picture yourself at a birthday fiesta party! 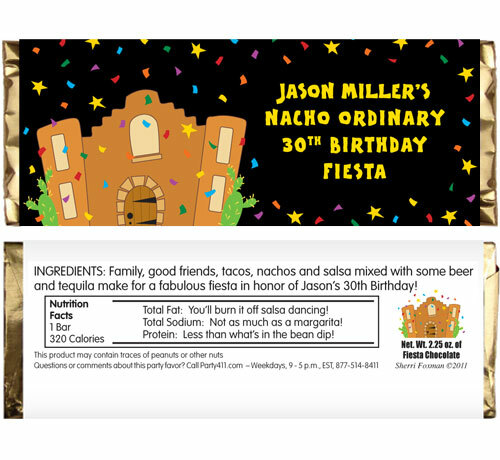 Perfect for a birthday fiesta or western theme party.